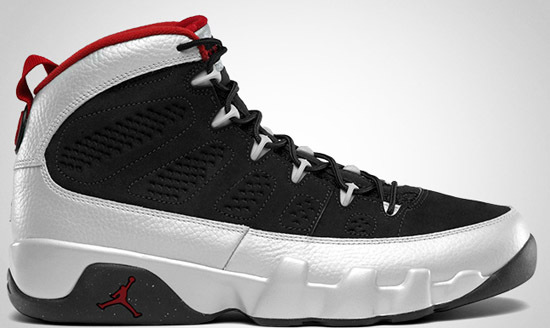 The highly anticipated return of the Air Jordan IX has come. 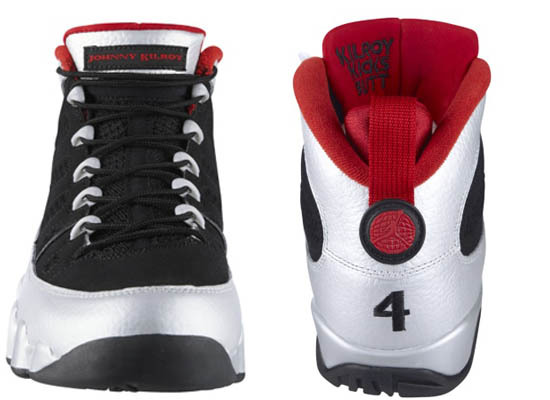 The first 2012 retro, the "Johnny Kilroy's," were released today, Saturday October 6th. Grab a pair from eBay here. No need for anymore details on this release, we all know the deal. Plus, i've covered it a few times here on the site. Anyways, this colorway is only the beginning. 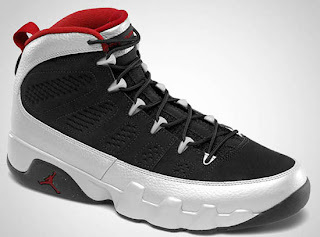 Eight more colorways of the Air Jordan 9 Retro are set to release by the end of this year, five of them limited and a part of the "Alter Egos" Pack. Next up, the "Fontay Montana" edition next Saturday, October 13th. But lets not get ahead of ourselves just yet. We need to enjoy the latest release first! One of the most anticipated releases of 2012, the "Johnny Kilroy" Air Jordan 9 Retro. A general release available at select Jordan Brand accounts worldwide, for those of you who didn't try or get through via an online release this morning, good luck if you're heading out to a local store to try and grab a pair. I was lucky enough to continue my good streak with FinishLine.com and ordered my pair without any problems. Once I have them in hand, I will be sure to take some detailed pictures as well as add them to the Jordan Brand section of My Collection on the site. For those not looking to try their luck in stores, eBay has some pairs available and after 10am EST, expect a decent amount more to pop up. So if you missed out on a pair, fear not. You can grab a pair from eBay here.